A large oval shape mango, this is generally grown in Mexico and Australia. This mango is green in color with a slight dark red blush. 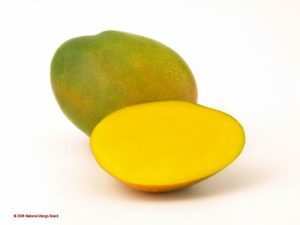 Ideal for mango preparations, it can spruce up any salad or serving of food. It is available from Mexico between June and August.